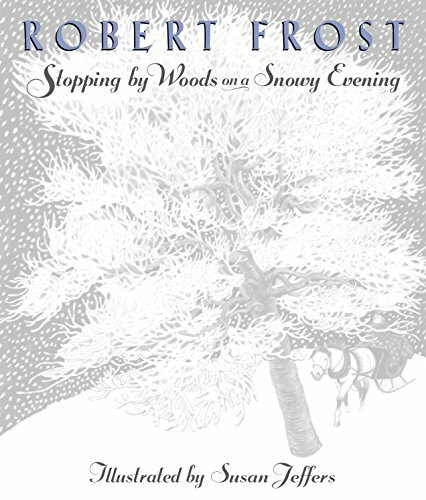 Ever since it was published in 1978, the picture-book presentation of Robert Frost's poem "Stopping by Woods on a Snowy Evening" has been an enduring favorite. For this special edition with a new design, trim size, and three new spreads, Susan Jeffers has added more detail and subtle color to her sweeping backgrounds of frosty New England scenes. There are more animals to find among the trees, and the kindly figure with his "promises to keep" exudes warmth as he stops to appreciate the quiet delights of winter. The handsome new vellum jacket will attract new and old fans as it evokes a frost-covered windowpane. This celebration of a season makes an ideal holiday gift for a child, a teacher, or a host. Robert Frost (1874-1963) is one of America's most celebrated poets and a four-time winner of the Pulitzer Prize. Susan Jeffers is the illustrator of such distinguished picture books as Three Jovial Huntsmen, a Caldecott Honor Book; Rachel Field's Hitty; and the ABBY Award-winning Brother Eagle, Sister Sky, which was also a New York Times best-seller. If you have any questions about this product by Dutton Juvenile, contact us by completing and submitting the form below. If you are looking for a specif part number, please include it with your message.